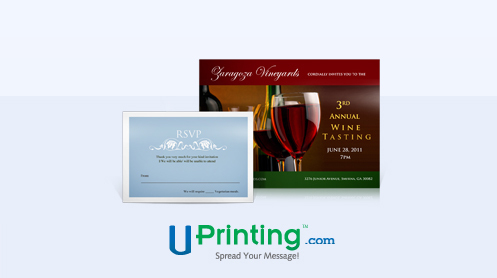 UPrinting is offering up another great giveaway for my readers! This one has a short turnaround time, so make sure you stop by daily to tweet out your bonus entries! Disclaimer: This giveaway is sponsored by UPrinting, no monetary compensation was given and I will receive invitations for hosting. Check out more information about invitation printing.